What is it that motivates you to travel? There are no right or wrong answers here. Each and every person gets a different kind of gratification from their travels. Indeed, two people may visit the same location and yet have completely different experiences. Travel is a personal experience in a number of ways. It takes us outside of our comfort zones and reignites parts of our brain that have been rendered dull and dormant by the familiarity of our usual routine. It can make us feel young again while our routine seems to add years to us. When we immerse ourselves in the new and unfamiliar, when we surround ourselves with new faces, new sights, new sounds, tastes and scents it can fill us with the same kind of wide-eyed wonderment that we had in our youth. Singapore is one of only a handful of places on the planet that is a true independent city state. This means that it is both a city and a country. Singapore is one of only three sovereign city states in the world ( the other two being Vatican City and the Principality of Monaco). Although some classify dependent city states like Hong Kong, Macau, Dubai and Abu Dhabi, Singapore has an independence and autonomy that makes it a unique and wonderful place to visit. There’s really nowhere in the world quite like Singapore. Sometimes you have the free time to dive right into your chosen holiday destination and explore all that it has to offer. Other times you have only a day in which to sample as many of its delights as possible before moving on to another location on your itinerary. The great thing about Singapore is that its diminutive size means that if you only have a day in which to get a taste of this unique state there are tours that will allow you to get all of the broad strokes within a day. 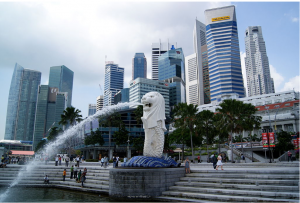 On the other hand, if you have a little time to get to know Singapore better you’ll find that while it is a relatively small place it is densely packed with a plethora of things to see and do. A week gives you time to take leisurely morning strolls through the marina bay, spend colorful evenings in Kampon Glam, explore the antiquities of Tiong Bahru or enjoy a world of delicious Asian cuisine at Dempsey Hill. Even if you’re on a budget you need never worry about the availability of sumptuous accommodation. No matter where you find a room for rent you can be sure that you’ll be within easy reach of some of the city state’s wonderful attractions. Plus, Singapore’s transportation system is among the best in the world meaning that there’s really no such thing as a bad location. The combination of affordable luxurious accommodation and great transport links mean that you’ll never be disappointed with the area in which you stay. Nature lovers will find their heaven in Singapore. While it offers all the luxuries and amenities you might expect from a major conurbation it also has some of the most breathtaking greenery on the planet. Not for nothing is it known around the world as “the city in a garden” for nothing. Few places in the world (let alone sprawling cityscapes) offer such diverse natural beauty. Wherever you choose to stay, you’ll be able to find lush urban gardens and unspoilt nature reserves within easy reach. Don’t leave without checking out the futuristic Gardens by the Bay or the Singapore Botanic Gardens. This is a UNESCO world heritage site and home to over 60,000 plants and orchids within its 60 acre grounds. You’ll also find that the grounds are also packed with multimedia exhibits detailing the rich history and heritage of the site and the vital ecological work done there every day by the resident botanists. 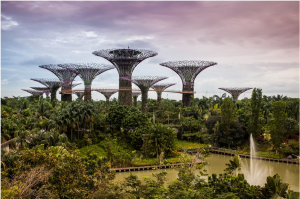 Singapore is an absolute must-visit for nature lovers! Singapore is one of the most welcoming and friendly places in Asia if not the world. While many of Asia’s bigger cities like Tokyo, Beijing and to a lesser extent Bangkok may have a monoculturalism that can be intimidating to visitors (especially those visiting from the west), Singapore is a thriving multicultural hub. As the world’s freest economy and a centre for international trade, the locals are accustomed to seeing people of all kinds of ethnicities and cultural backgrounds who have put down both business and familial roots in the city state. Wherever you’re from in the world you’re likely to find an expat community that speaks your language and can give you valuable insider info on where to go and what to do. Of course, that’s not to say that the locals aren’t also warm and welcoming! The people of SIngapore tend to be multilingual, warm, friendly, welcoming and helpful. So long as you behave well and treat them with respect (and why wouldn’t you? ), you’ll find that the people of SIngapore are always happy to see you. When you’re vegan or vegetarian travelling in Asia can be frustrating. While many Asian countries certainly can’t get enough of their veggies and grains, it can be difficult to avoid eggs, meat and base ingredients like fish sauce and shrimp paste. What’s more, in many Asian cultures they simply don’t quite “get” veganism. As you might expect from a multicultural paradise there are a multitude of places in which you can sample delicious local cuisine but there are also a wide array of places in which you can get virtually any food your heart desires from cakes and pastries to pizza and burgers, all 100% plant based. Those who like a healthy dose of thrills and adventure with their vacation will be delighted to learn that you can scratch your itch for adventure in Singapore with a wide range of extreme sports. Whether you want to go an extreme forest adventure or drive a Formula 1 race car you can do it in Singapore. Of course, if you’re looking for gentler pursuits you can also find hiking trails and natural quarries as well as dense rainforests in which you can lose yourself in a wonderful natural world. Whatever you’re looking for in a travel destination, Singapore has it in abundance!